Alan has worked from being a graduate management trainee through general management posts to Chief executive responsibility. He is qualified by diploma with the Institute of Healthcare Management and the Institute of Chartered Secretaries and Administrators. Alan has extensive experience of designing and operating governance systems in healthcare settings. This has involved financial, organisational and service/quality governance. As implementation is the key, his experience of making governance systems work is invaluable. 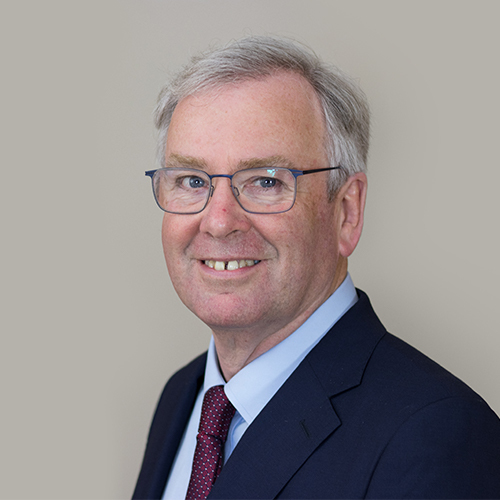 The health informatics service, over a nine hospital collaborative, was overseen by Alan for 3 years as Non Executive Chairman and its contribution to integrated care, clinical quality improvement and productivity were all developed under his tenure. Through his Presidency of a European Committee Alan has gained insights into comparative healthcare, national systems, the impact of culture on system design and effectiveness, as well as developing a model for European convergence in mental healthcare. Alan has led mental health services for over 20 years and has integrated service user involvement into organisational processes in a way which does not subdue the voice and enables significant added value. In his last employed post he oversaw the design and implementation of a medical staff appraisal system which showed significant service governance benefits and it was strongly supported by the medical staff as a vehicle for improvement and accountability. Capital plan delivery. Alan has acted as project manager, project director and senior responsible owner for capital schemes for buildings and equipment ranging from a complete children’s hospital on a general hospital site, linear accelerator and scanner developments, a new wing for a major teaching hospital, to community centres. These have been procured variously by public private partnership, private finance initiative, leaseback and exchequer capital. Alan is published in peer reviewed journals on the subject of Action Learning and has benefitted from and used the approach for over 20 years. In his last post as Chief executive he led the use of the approach for over 10 years and through evaluation, demonstrated its benefit as a cost-effective method of organisation development. Financial control has always been an emphasis in Alan’s leadership of an organisation. Cost reduction strategies have been important and not everything. More recently with colleagues Alan has developed a quality impact assessment approach to cost reduction which allows quality improvement and cost reduction to coexist. Clinical engagement and involvement is vital if the “disconnected hierarchy” is to be avoided. Alan has demonstrated how conducive organisational environments, clarity regarding the contribution expected and clinical management development programmes all lead to significant value added. Since going independent Alan has supported two Welsh Health Boards in fundamental strategic review, supported three health economies to make practical progress with integrated approaches to health and social care commissioning and provision, has provided strategic support to an FT seeking a vertically integrated care offer and provided analytical and benchmarking support to a Northern Irish Trust in their Mental Health planning. He has successfully supported Mid Staffordshire NHS Foundation Trust to sustain its services through reputational damage, staff retention issues and organisational flux until dissolution. More recently he successfully supported Norfolk and Suffolk NHSFT to exit special measures. He has stabilised Southern Health NHSFT during his time as Chairman and developed its strategic direction ready for implementation.